Professor Caroline Schroeder, "Coptic Studies in the Digital Age"
This special edition of the ACRC's seminar series 'Markers of Authenticity' focused on issues of authenticity surrounding early Christian and Jewish texts. For more details, contact Brent Nongrbi. 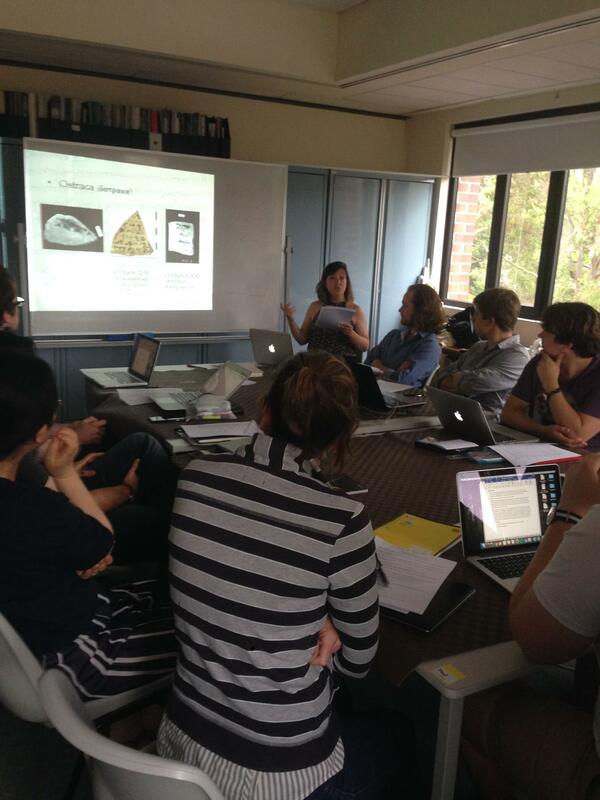 Postdoctoral Fellow in the History of Early Christianity Dr Rachel Yuen-Collingridge convened a workshop on papyrology on Friday, 15th December at which postgraduates learnt about the discipline and were able to construct their own editions from real papyri from the Macquarie collection. - Cost: $70, including a delicious buffet meal with a carvery, salads, hot dishes, dessert, coffee and tea. Macquarie University's internationally renowned Coptic Studies program has had great success in both research and teaching. This celebration reflected on these achievements in teaching and research over the past decade, and looked at our vision for the next 10 years of Coptic Studies. It also provided an opportunity to thank the community for their continuing support of Coptic studies at Macquarie University. For more details, contact Malcolm Choat. 16-19 July, 2014: Following the very successful conferences in Melbourne (2009) and Auckland (2011), Macquarie University hosted the Third Australasian Egyptology Conference. The conference was open to postgraduate research students and scholars who presented their current research in Egyptology and Coptic Studies. For more information on the conference program and a list of abstracts,click here. This one-day workshop, held under the auspices of the MQ Ancient Cultures Research Centre, will address the textuality and contextuality of magical texts from the ancient world, focusing on those surviving on papyrus from Egypt (in the Pharaonic, Graeco-Roman, and late Antique periods), but extending beyond this to synthetic considerations of the nature of magic in the ancient world and how we best conceptualise it, and interpret its textual and artefactual record. 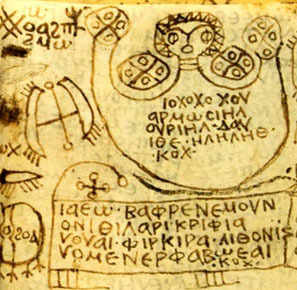 The Heidelberg Coptic Magical Archive (P. Heid. Inv. Kopt. 678-686): What can we Learn about the Practitioners, the Production of the Artefacts and their Role in Ritual Practice? The conference brought together specialists in pre-modern societies of the Mediterranean world and adjoining cultures, all contributing to a deeper understanding of the processes that drive the operation of pre-printing cultures, and transmit knowledge and traditions forward in human societies. Download the program for more information. - Venue: The Auditorium, Ryde Eastwood Leagues Club. - Professor Karol Mysliwiec, University of Warsaw, Poland: 'Scribes and Secretaries, High Priests and Viceroys: Some mid Eighteenth Dynasty tomb-complexes on Sheik Abd el-Qurna' and 'An Intriguing Mind: The chief temple archivist Imiseba and his mortuary monument'. The series, which brings together historians, papyrologists, and linguists to discuss the issues shaping our understanding of the ancient letter, was first held on 15 November 2010. For further details about the program, download the Program and Registration Form. For more, contact Paul McKechnie.